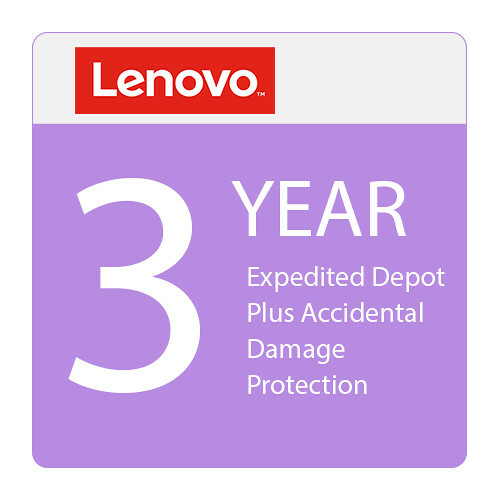 Add three years of expedited depot and accidental damage protection to your Lenovo system with the 3-Year Expedited Depot + Accidental Damage Protection Warranty from Lenovo. Expedited depot service is faster than standard depot service, which can take 5 to 10 days to get the system repaired and returned to the customer. With this expedited service, customers will have their repaired system back three days from when they ship it to Lenovo's repair center.